Background: The Right to Education (RTE) Act was brought into effect in 2009 and ever since it has been mired in controversies. It is argued that the act in its present form favours some communities by exempting them from stringent rules prescribed in it.These rules, many of which have been severely criticized, are however applied to schools run by other communities. The no-detention policy is one such provision. In practise, the CCE turned out to be a big disaster in the absence of adequate resources including number of teachers, seamless processes and a supportive ecosystem. A survey in 2015 indicated that nearly 20% of all teachers had not even heard of the CCE and where they had heard of evaluation they did not receive adequate manuals or training. Without adequate checks, assessments or measurements teachers were found to be slacking off. Overall, the no-detention policy has caused a severe deterioration in learning outcomes. 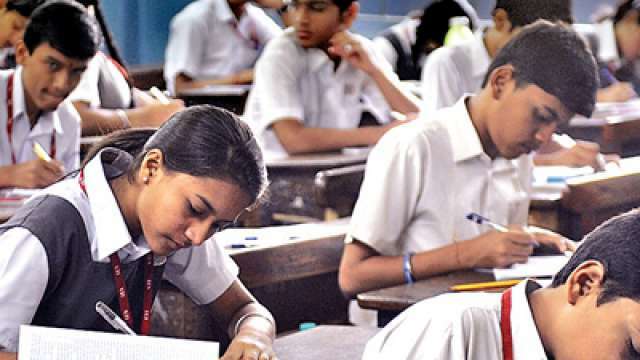 The provision had attracted criticism with several states and schools complaining that it compromised on academic rigour and learning levels and quality at schools. Most recently the TSR Subramanian committee for formulation of the National Policy on Education has also suggested that ‘no detention’ policy should be discontinued after Class V. It had recommended restoration of detention provision,remedial coaching and two extra chances to each student such to move to a higher class. Most states favour doing away with ‘no detention’. However, Goa, Telangana, Karnataka and Maharashtra have opposed the scrapping of the policy, pointing out that dropout rates decreased very significantly after mass promotions were allowed. Why no detention policy should be retained? The ‘no detention’ provision is made because examinations are often used for eliminating children who obtain poor marks. Once declared ‘fail’, children either repeat grade or leave the school altogether. Compelling a child to repeat a class is demotivating and discouraging. There are also very strong equity considerations behind the NDP policy, especially for children from low-income families, and girls. Failure for these children implies dropping out. In fact, wastage in the schooling system due to high repetition and high dropout rates has been a major concern since the 1990s. The no-detention clause in the RTE Act seeks to address that concern. Besides, research evidence indicates that detention of students by a year or more does not improve learning.Hence, this provision should be retained. The Constitution (Eighty-sixth Amendment) Act, 2002 inserted Article 21-A in the Constitution of India to provide free and compulsory education of all children in the age group of six to fourteen years as a Fundamental Right in such a manner as the State may, by law, determine. It means that every child has a right to full time elementary education of satisfactory and equitable quality in a formal school which satisfies certain essential norms and standards. It came into effect on 1 April 2010. It prohibits (a) physical punishment and mental harassment; (b) screening procedures for admission of children; (c) capitation fee; (d) private tuition by teachers and (e) running of schools without recognition. How effective has RTE been? Surveys have revealed that the levels of awareness about RTE were quite deplorable in many rural areas. Many in rural areas are still unaware of this constitutional provision which guarantees children their right to education. With multiple drawbacks it is clear that to achieve sarv shiksha is an unfeasible task and remains an eyewash. Hence there is an urgent need to strengthen delivery mechanisms in school education, especially at the grass-roots level. And, there is a need to create greater awareness at the community level to implement various provisions of the RTE Act. When a community is more aware of provisions, they will be able to claim what is due to them. This would help in effective implementation of this Act, not only in letter but also in spirit. Effective implementation of existing provisions of the RTE Act is required and engagement of civil society may be further strengthened to make it more effective. Minimum pupil-teacher ratio should be maintained in each school as per the provisions. This will be possible by recruiting more qualified and trained teachers. Enough funds should be allocated to develop infrastructural facilities in schools. In order to make RTE more effective, it is necessary to establish modality through which the RTE Act is protected and a system needs to be evolved to deal with lacunae in implementation. Though the RTE Act has a provision for including overage children in its ambit, in reality this is not happening; hence proper groundwork needs to be initiated with the help of civil society to meet targets. Achieving the goal of equitable, quality education for all requires progress along multiple dimensions such as better policy, stronger political commitment, superior implementation, and higher community involvement. Advocacy needs to be done by which states should ensure all sanctioned posts of teachers are filled up immediately to achieve targets. The Classic IAS Academy is the considered the Best IAS Academy in Delhi for the students. The Classic IAS Academy is aimed to develop amongst its students a competitive attitude along with sound academic base with quality teaching. The Academy also conducts seminars and workshops with the help of experts in order to train the student to think, feel and express like civil servants.